Launching online courses and online teaching is one of the trending online jobs now. With the significant increase in students who wish to learn things from home in front of the computer and using tablet & smartphones, online courses play an important role in educating them. Speaking of students, unlike the offline courses where the age group will be mostly below 30, the online courses attract students from the wide range of age groups. This ensures that the online tutors who wish to sell online courses to make money will see up to 1000% incline in the profit. 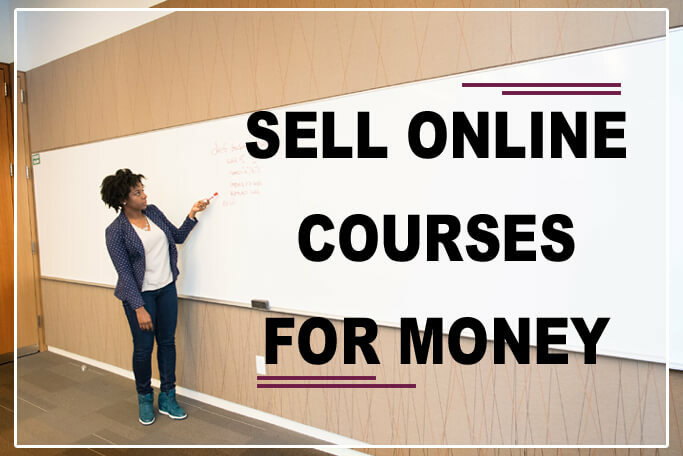 If you’re the one wish to make money selling online courses, this guide will help you to find and create trending online courses with higher sale percentage. Launching an online course needs an extra bit of effort to make it unique among the competition. But every second spent in creating the online course is worth. Create an online course today, make it available online for the students and make thousands of dollars selling the online course(s). First, understand the difference between online and offline courses. Launching courses online to make it available for students through subscription or one time sale are online courses. Online courses are created in the form of videos, eBooks, contextual web content, webinars, face to face, virtual tutoring etc. In the case of offline courses, the courses are mostly held in the classroom, auditorium, one on one live tutoring, home tuition etc. The pre-recorded online courses are asynchronous online courses and the virtual courses with live interactions are called the synchronous online courses. The synchronous online courses are somewhat similar to the offline courses but the tutor has the advantage of teaching the student(s) virtually. Teaching offline has the worst disadvantage, where a tutor can interact only with the limited number of students per session. While the online courses can be sold to unlimited number of students by targeting the global audience. The more copies get sold or when more students subscribe to the online course(s), the more money will flow. Take for example, if 1000 students subscribe to a Language online course for $10/student. The total profit will be $10000 and at the same time, let’s assume the tuition fees for the offline course per student is $50. Due to the limitation in numbers, for example, let’s take, 50 students, the total profit would be just $2500. Launching the online course(s) are hard compared to the offline course which doesn’t need any major initial preparation. But once the online course is launched, the instructor has no other job, other than answering the doubts of the students. The online course material will be good enough to teach everything to the student. The online courses help the tutors to earn money part-time. They can concentrate on their regular job, come home, sit, relax and see money flow into their wallet. This makes the online courses better job than the offline courses. The only downside of online courses is the competition. There is an open competition when it comes to the internet. Many instructors create online courses to make money and the students who are taking the course will honestly review the online course. So, only the best can stand out from the crowd to sustain long in the industry. Most of the online courses on the internet are created as videos. Because it’s proven that 90% of the people like to see the video(s) in order to learn something instead of reading the articles. Video tutorials with subheadings are easy to understand, makes the student feel excited, ability to pause to relax etc. Video courses are hard to create, needs some knowledge of shooting videos and editing those videos. Instructors who are unsure about this can make use of the freelance sites to hire professionals. 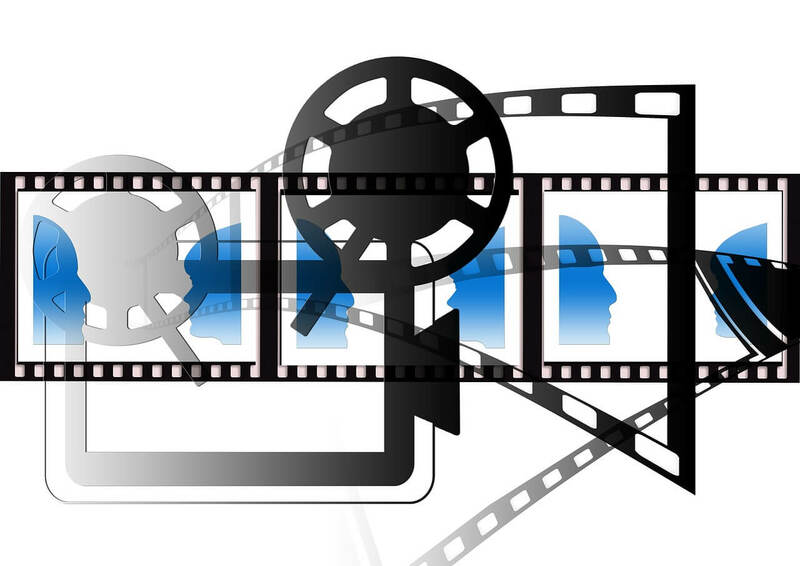 Get to know how to create a great online video course in the upcoming section of this article. The online courses in the form of eBooks are the second most used method to make money selling online courses. Creating an Ebook is very simple when compared to creating video tutorials. It will take very few days to plan, create and organize the eBooks. Sell the eBooks for the low price even if it has some unique valuable content to reach maximum sales. Instead of selling $30 per copy, the authors can sell the eBook for less than $10 dollars to reach more customers and improve their branding. The eBooks are the easiest way to create the online course however, it might need high marketing initially to reach people. Similarly, no built-in features can be added to the eBooks like it can be added to the web courses. 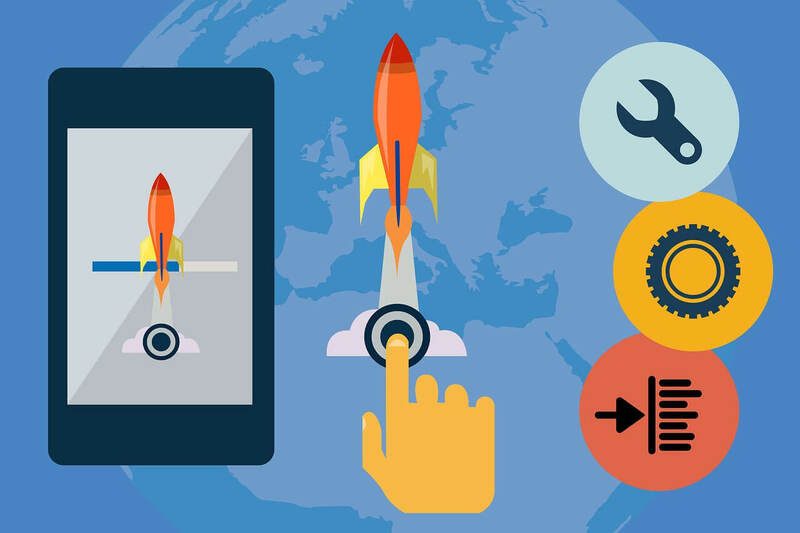 Creating a unique website to launch online courses is the best of all these. This is going to be little bit expensive compared to creating videos and eBooks because we need to create, host and customize a website. Despite expensive, websites are highly customizable. A lot of customizations are required to make the course interactive and interesting. It’s a lot more than just adding content. We can add the quiz, contests, exams, categorize the course into units and lessons, present certifications, automation etc. on the website. Now many free and premium online course website builders are available. So, no more worry about the headache of hiring web developers. These are the steps involved while creating online courses. Launching an online course is step by step process where the instructor should carefully process the data to complete the course perfectly. The first step of planning in the case of launching an online course is analyzing your Knowledge. Think about what I’m going to teach? Am I good at that topic? Answer all the questions that arise into your mind. Just spend time in market research to find out if the topic you’ve chosen is trending. If you’re going to create a course that nobody is going to buy, it’s waste of time, money, confidence. The next step is to plan how am I going to execute my plan? Do I need the support of some from the online course platform, or I’ve got the audience base to launch the course myself. Come to the conclusion before starting the work whether it is going to be the video lessons or articles. Write down what are all you’re going to teach in the course. Then divide them into lessons or units to make it easier for the students to go step by step. Now you’re all set and well planned to execute the plan of creating and make money selling online courses. Once things are well planned enough to execute, it’s time to start creating the materials for the online course. Creating lessons is the most time-consuming process in launching online courses. You’ve might have already planned whether the course is going to be video or written content. If it is going to be video lessons, start writing scripts. Make sure you must write scripts for at least 3 lessons before getting into shooting the videos so it will be easy to add, remove or modify the script before starting. DSLR is not mandatory when it comes to taking videos since the smartphone in your pocket is good enough to capture HD videos. If you’ve got camera shyness, don’t hesitate to go for the alternatives like screen recording, hiring freelance explainer. There are several screen recording software like Camtasia on the internet. Use such software to record your screen and explain the lessons. Though screen recording is ok, only people who show their face will get a recognition. So, try to show your face in at least once per lesson. If it is going to be eBooks, things are easier compared to creating video lessons. Create the eBooks user-friendly. Refer top eBooks in the market to get an idea how to create a perfect eBook. Give an introduction initially, then instruct the content of the book, categorize the content into lessons, add the content. Don’t hesitate to add free bonus, sources to make the reader happy. In the case, if you’ve chosen to launch a course using a website, that’s a great idea. Do not choose this method if you don’t have enough audience base to enroll/subscribe for the course. Creating the web courses helps us to make the lesson and other features of the courses highly flexible. The final step in the way to making money selling online courses is launching. It is important to choose the platform which can bring a high number of subscribers to your course. Even if your course has got great content for the students, a minor mistake in launching the course could make your course get lost in the crowd. If you’re going to use the online course platform it’s better to contact one of the managers of the website for assistance. In the case, if you’re going to launch the course in your own platform, do some pre-launch process to let the audience know that the course is going to be launched. There are several ways available to launch the online courses on the internet. Here is the list of online course platform where you can launch the course. The Udemy is the best online training platform in the world to make money selling online courses for the instructors and the learners can get educated for the cheap price. Udemy maintains a neat ecosystem to connect the students to experts around the world. The Udemy offers free training to the instructors to learn how to make a perfect online course using their platform to sell them. Udemy has over 12 million students and 20000 experts. The Udemy has all sets of tools for the instructor to create a course by collating PDF, documents, power point presentation, and video content. To become an instructor on Udemy, the tutor must get pass the onboarding process. 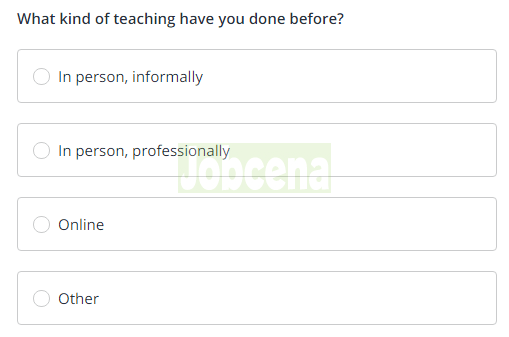 Udemy will ask the tutor to answer a set of questions about their previous teaching experience. This will help Udemy to give you exclusive tips and resources designed to help you launch the first course as fast as possible. Once the onboarding process is complete, Udemy will ask the instructor to create a test video. Udemy experts will give feedback on the test video. Make use of their community, teach hub articles, insight courses to guide through the process. The courses of the Eligible instructors will be published on their training platform. Once published, your course will be showcased in front of millions of students. Udemy will take 50% of the course purchase value for making use of their platform for free to create and sell courses. The Udemy is the best free training platform to consider to sell online courses for money. While the Udemy is claimed as the best online course platform by many, Teachable is better than Udemy in quality, pricing, tools etc. The Teachable has got a stunning builder that more focuses on branding and uniqueness. Udemy helps the instructor by promoting their course(s) to millions of students in their community. But, Udemy will take the major credit not letting the instructors focus on their branding. And the major drawback of Udemy is they take control of pricing and not the instructors. Teachable is one of the best online teaching platforms, that gives full freedom to use their resources to sell online course at a cheap monthly price. Teachable has three plans that suit instructors of different categories starting from the beginners who are looking to post their first online course, professional plan for experienced and the Business plan for pros. The novice can go for the cheapest basic plan or free plan to launch their first online course and upgrade the plan as they grow to enjoy additional benefits like instant payouts, priority support etc. It’s recommended to use your custom domain name(Ex. Course.com) feature instead of sticking to the hosted domain name(Ex. Course.teachable.com). The Teachable offers no limit policy for all the plans with unlimited courses, unlimited videos, unlimited students and unlimited hosting. Teachable has more than 3 million students getting educated by over 10000 instructors who published 25000 plus courses already. And they helped many people to inherit their knowledge to the students and at the same time earn thousands of dollars. 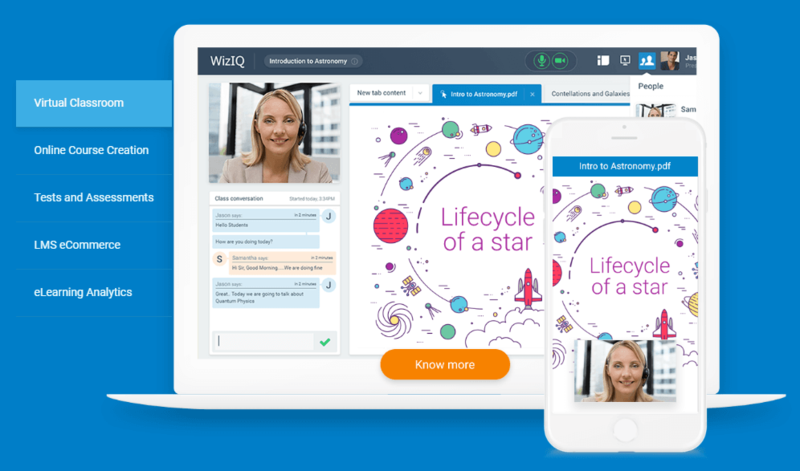 The WizIQ is an advanced learning platform that provides various online training solutions like the virtual classroom, course creation with tests & certification features, integration plugins and more. WizIQ is equipped with many tools to create learning materials that cannot be found in other major course platforms. WizIQ’s virtual classroom is a great tool that allows the tutor and students interact live from different places around the world. The students who enrolled in the course can access the content anytime and take part in the tests and assessments. The mobile learning is one of the significant features of WizIQ that allows the students to access using their mobile phone. It’s really easy to create the online courses and publish them on WizIQ. Also, for cheap pricing, the instructors can make use of the WordPress, Moodle, Joomla, Drupal plugins. The Thinkific is another great online training platform to make money selling online courses. Most of the online course platforms fail in the promotional part where only the recognized instructors make money. Thinkific provides a perfect solution for the novice to sell their first course as soon as possible without any struggle. Their online course platform says that Thinkific has features to create, organize, market and sell the online course using own branded website. The automation tools of Thinkific simplifies the tedious course creation and selling process for its users. If you’re looking for a big recognition in the online course industry, go for Thinkific you’ll never regret. Publishing an online course on your own website is the best idea if you’ve got the audience base. You will have to be a recognized person in the industry to sell the online course on your own website. The pros of self-launching an online course are that we can set our own price, reward discounts & brand certificates, no setup and transaction fees etc. Take time to create the course, add exams to each module so that the students enrolled can write the test and see if they are eligible to move onto the next part. Adding both video and written format for each lesson will be better compared to adding only any one of these. At the end of the course reward the student with a certificate for completing the exams successfully. Award badges for passing each exam. The hardest part of self-publishing the online course is marketing and sales. While in the online course platforms, they take care of marketing and sales, we have to take care of everything in case if we’re self-publishing the course. Any minute error in payment or access to the course will create a huge problem completely destroying the dream. Create an email explaining about the course and send the emails to your subscribers. Make sure to put that the course will be open only for a certain period of time. Expiry will speed up the process of enrollment. Close the enrollment at the specified time to make the enroller feel that your course is authentic. Allot time to personally connect each student when they are in need of help. Sending bonus prizes along with the certification at the end of the course will create a fulfillment. YouTube is the best video sharing site where thousands of videos are shared each day. YouTube also hosts several online course videos in its platform. If you’re unsure about eligibility on the online course platform or you got some restrictions to become an instructor, the YouTube is the best alternative. Create a channel and upload your course videos in it. Apply for YouTube partner program to share 55% advertisement revenue with YouTube. Instructors who have uploaded their video in the online course platform can reuse the videos on YouTube to make additional income. There is no need for mandatory support to the YouTube viewers like we support the paid subscribers in the online course platforms. If you’re unsure how to start, here is the article for beginners to know how to create a YouTube channel to make money. The Kindle e-Publishing is the Amazon’s official marketplace specially created to buy and sell eBooks. Amazon has millions of customers trusting their brand to shop online. With the Kindle e-reader, they are dominating the e-Book selling market too. To sell your eBook, all you have to do is create an Amazon KDP account. 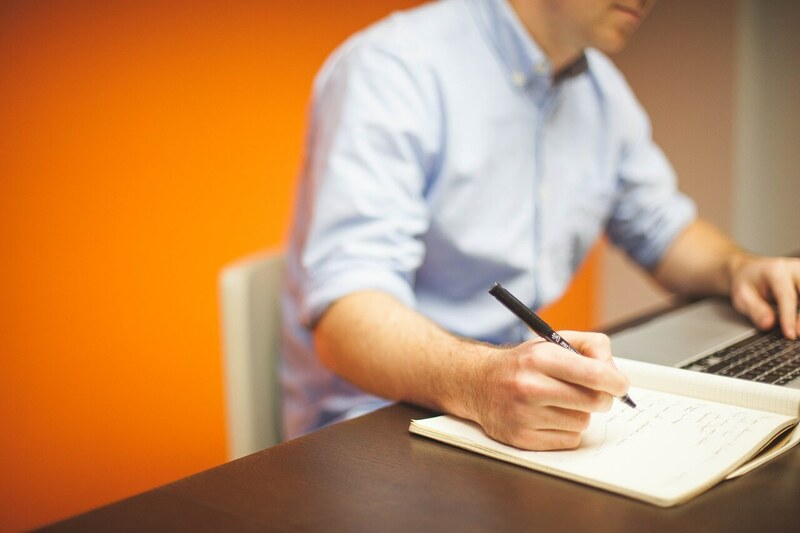 After the onboarding process, start creating your eBook. Once done, add it to the bookshelf selecting the exact category of the content in the eBook. Add a well-designed cover to the eBook. The eBook buyers will look at the cover and title of the eBook, before looking into any other feature. So, if you’re unsure about creating the cover for your eBook, feel free to approach the Fiverr where experts design cover photo from $5. If Android smartphone users are your target, then Google play has the magic to showcase your eBook to millions of Android users. If you wish to sell your eBooks on Google play sign up at Google play books partner center. Google is very strict about their policies and they will ban the account which is found to violate their terms of service. So, before proceeding, carefully read the Google books terms and Google editions addendum. Google does not allow worldwide users to publish eBooks on their platform. Check the list of countries supported for Google playbook partner program. If your country is supported, upload your eBook and get paid on time by Google on reaching minimum payment. Usually, few training platforms allow the learners to review the course to let the newcomers know about the course and the instructor. The care you take in launching the course should continue supporting the students. When the students ask for doubts, it’s the instructor’s responsibility to answer each and every query of the student within a certain time. Failing so will result in loss of authenticity. This will eventually affect the rating of the course and gradually the enrolling will reduce. So, take extra care of your students to get good reviews. If possible announce a virtual meeting with students at least once a month to take your career to the next level. This will help the student(s) to interact with you and others. The live virtual meeting will create a bond between the instructor and the students making the course more interesting. The most trending online course in the current decade is related to programming, coding, machine language. Since ever automation and artificial intelligence started to rule the world, students wish to learn more about it. IT companies pay a higher salary than any other industry in the world. Even the last tier employees from IT earn high income than the average. So, the current generation learns programming and coding than other courses. If you’re pro in programming and coding, start the course on machine language to make the most out of your course. Before starting to create a course blindly, just refer the platform to find the trends. Since the rise of smartphones, everything has shrunken into palm. The apps are the blood of the smartphones enables us to perform actions from A to Z sitting in one place. There is a high demand for the IOS & Android app developers now. Also, the course related to app development is the highest grossing education. As technology improves so do the apps and web applications. So, starting a course related to the app and web development is a great idea and very reliable. All we have to do is update the courses as the software gets updated. The marketing is one of the important department in any industry since it’s the only way to let the customers know about the products & services. The marketing done using the internet is called digital marketing. Marketing the products & services using social media, search engine optimization, online advertising, affiliate marketing are some of the categories that come under digital marketing courses. Digital marketing gets updated each and every month. There will be no downfall for the instructors who create online courses related to digital marketing. Courses related to management will always attract a certain group of people. Time management, finance, administrative, risk management, asset management, HR, project managing, business management, performance monitoring are some of the important topics in the management section. Though this is not felt important like coding, management always has its significance. Networking plays an important role in connecting the entire world. The technology gets on updating as the days pass. Networking is one of the most trending categories in the online course platforms. Launching a course about networking will be a great idea to make money. Since the Globalization, it has become easier for us to travel all around the world for work, leisure, business etc. People who know multiple languages can only grab the opportunities available in every industry. So, a lot of people started to learn different languages through online courses. Also, online translation jobs help freelancers to earn money in part-time translating documents, voice etc. If you’re a language expert, make use of the opportunities to launch online courses to teach languages. Launching own online course is a great achievement. Online course platforms make it easier to set up and launch the online course(s). A lot of students prefer online courses over offline courses. No pushing down; real talents get recognized for sure. Make passive income selling online courses in part-time. Get students from all around the world. Selling the first course is a nightmare for many instructors. Like any business, the instructor needs the ability to attract the students by the way they teach. Hosting online courses on the third-party platform will bring fame to the market, not you. Need cost management to create the online course and make it profitable. Most of the online courses get outdated within a few months. 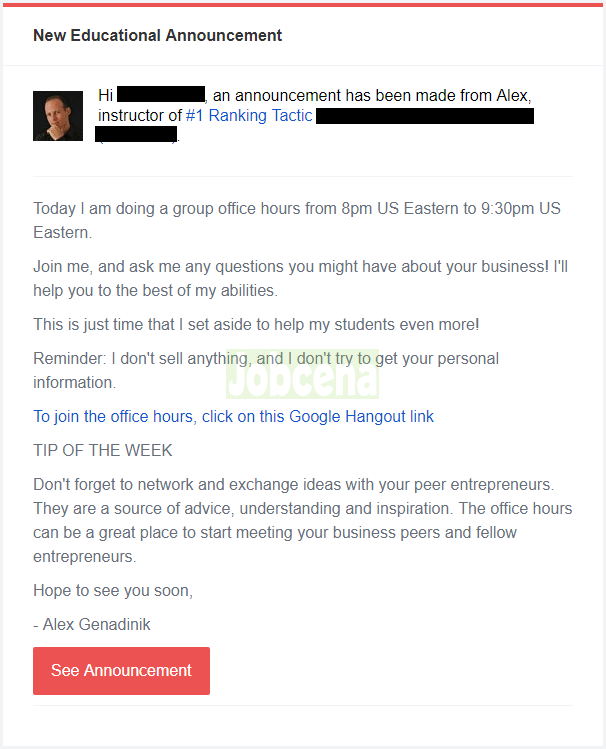 Hope, you’ve got an idea how to make money selling online courses. Selling online course is a reliable way to make money online. Also, check out how to find online tutoring jobs. Feel free to ask queries and leave your feedback in the comment section.